Inspired by the old school glamour of Sophia Loren and Jackie O, Lamb 1887 bags, favoured by style mavens Pippa Middleton, Fearne Cotton and Millie Mackintosh, deliver timeless elegance with modern updates and on-trend prints and colours. The heir to a fourth generation leather empire, founder Charlotte Lamb brings a wealth of experience to her designs from a business originally established by her great grandfather, an artisan cobbler, in 1887. Lamb 1887 handbags are crafted from the softest leathers carefully sourced from the highest quality tanneries across the globe. With beauty being as important on the inside as the outside, each bag is lined with luxurious suede, proving the exceptional workmanship that goes in to each and every one. SS14 sees on-trend croc and snake prints, with an injection of colour introduced in vibrant orange, yellow, pink and blue, as well as the two-tone Cannes clutch mixing vivid yellow with grey snake print. Working in the City, Charlotte was inspired to create Lamb 1887 after struggling to find elegant bags at an affordable price. The brand draws on both her heritage of the 125-year- old design and manufacturing business, combined with her love of City style. Lamb 1887 is set to become a favourite in the British fashion stakes. Charlotte says ‘I spent years working in the city looking for the perfect practical, super luxury, on-trend handbag that didn’t break the bank but to no avail. I decided to make my own and Lamb 1887 was born’. The Cap Ferrat Clutch which hosts a snakeskin print and comes in various colours and pictured above, I especially like it in Yellow - and is also popular with Laura Whitmore and Jodi Albert. 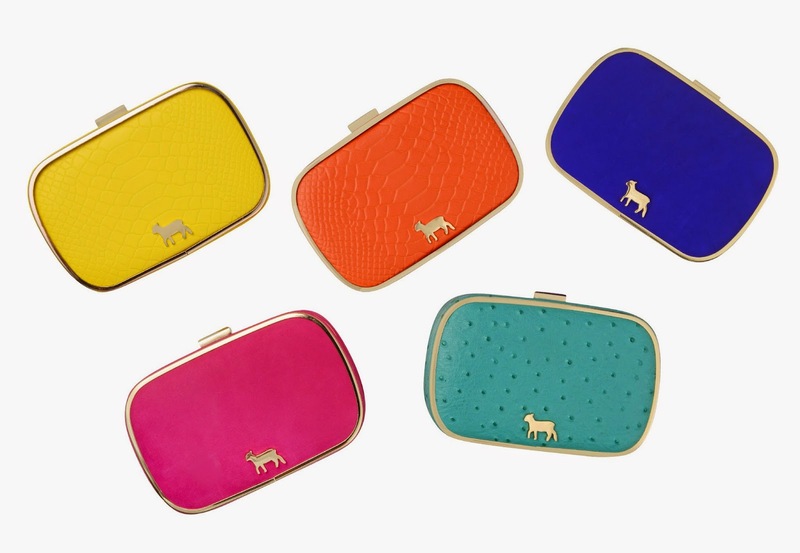 This little gem retails for £82 and is the perfect summer accessory to any event. Whether it is a day at the races or cocktails with friends. With it's detachable chain it goes from a clutch to a cross body bag. Isn't the little gold signature Lamb just the cutest. Being a huge snakeskin fan, it is not surprising that my second favourite from the Lamb SS14 range is the Cannes Clutch. 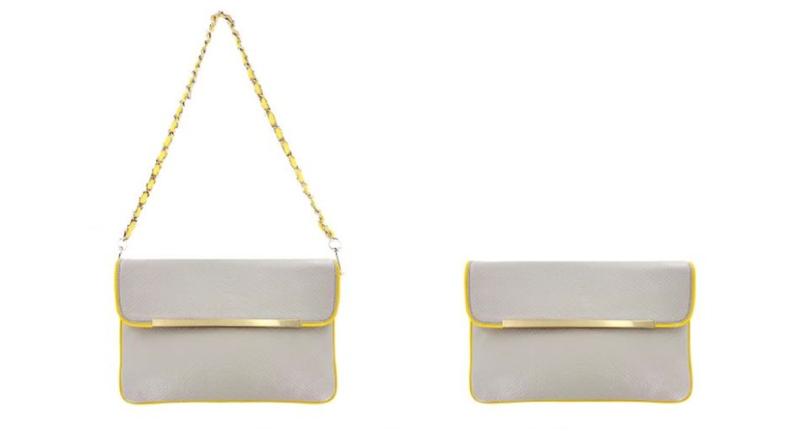 This gorgeous grey snakeskin leather clutch, finished with yellow leather piping. Is absolutely stunning. The Yellow Piping is also intertwined through the detachable chain strap, effortlessly transforming from shoulder bag to clutch. This is currently reduced from £150 to £105. If you are looking to buy something special for someone special this year. Look no further. I absolutely love the Lamb 1887 colours! Sometimes you just need a pop of colour and these are perfect. Especially, the orange :) Great post! These are so cute, I love the electric blue coloured one. Simple yet eyecatching, I want them all. Great post and love finding out about smaller heritage brands.